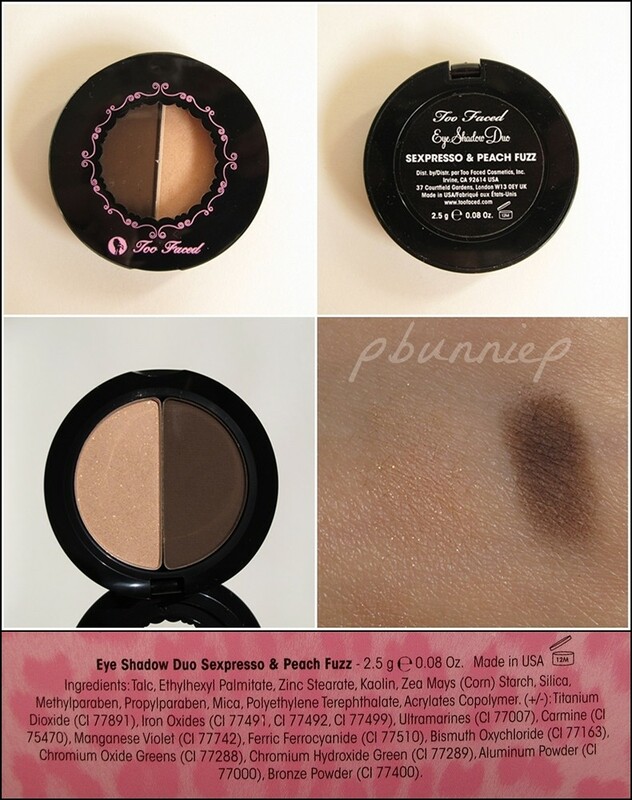 Today's post brings you something from one of my previous haul videos, the TooFaced Glam gone Wild Collection that was part of the Vintage Sale a month or so back from their online website. 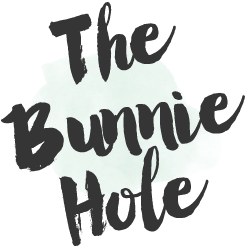 I choose this kit mainly because it offered a "full face" (cheek, lips and eyes included) and absolutely because I was drawn to their every famous bronzing powders. 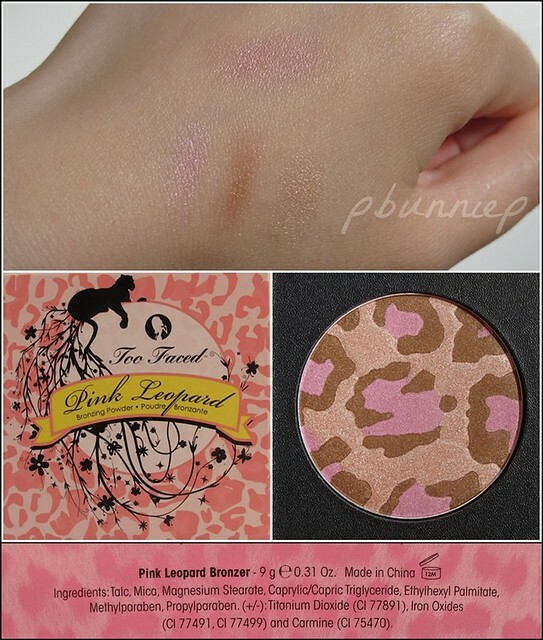 Of the entire line of bronzers available from TooFaced, I believe the Pink Leopard was one of their original formulas and currently remains a hot seller. Ready to hear my thoughts? 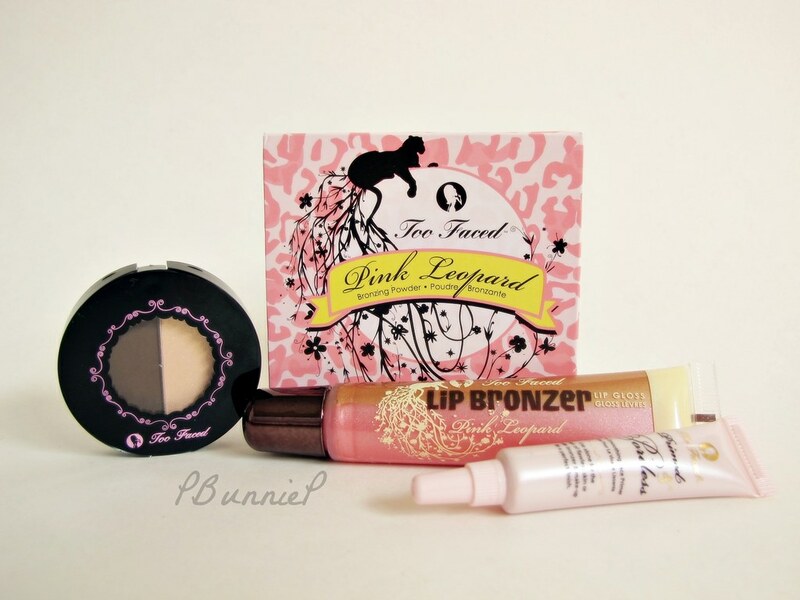 First, my video talk on the products and my TooFaced online experience. I am now fully convinced that all the hype about this bronzer is true. 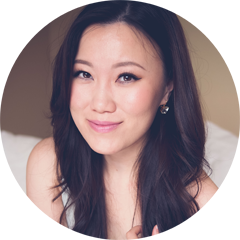 Somehow, the three colours blend perfectly in tone to create a gorgeous slightly tanned flush that looks natural and healthy even on my pale skin. I love that there is enough pink in this palette to show up even when you swirl all the shades together, no shade dominates over the other and the result is a harmonious and fresh finish to the cheeks. 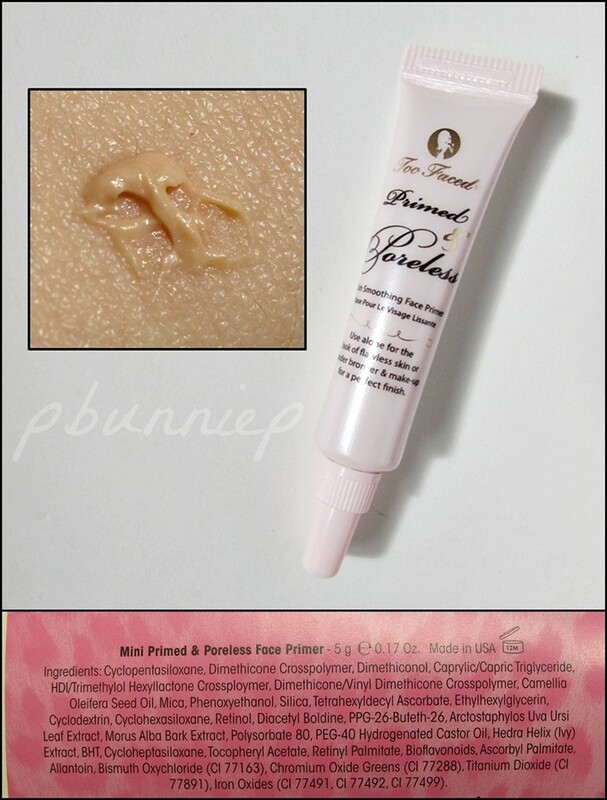 For someone that never quite got attached to the primer trend, this Too Faced product really did change my mind. In fact, I like it so much that I'm looking forward to picking up a full size of this "Primed and Poreless" when I finish using up my sample tube. What I particularly love about this product is how it magically smooths my complexion even without makeup. A huge rave from me on that aspect alone. ADORE Sexpresso. Can do without Peach Fuzz. Enough said. 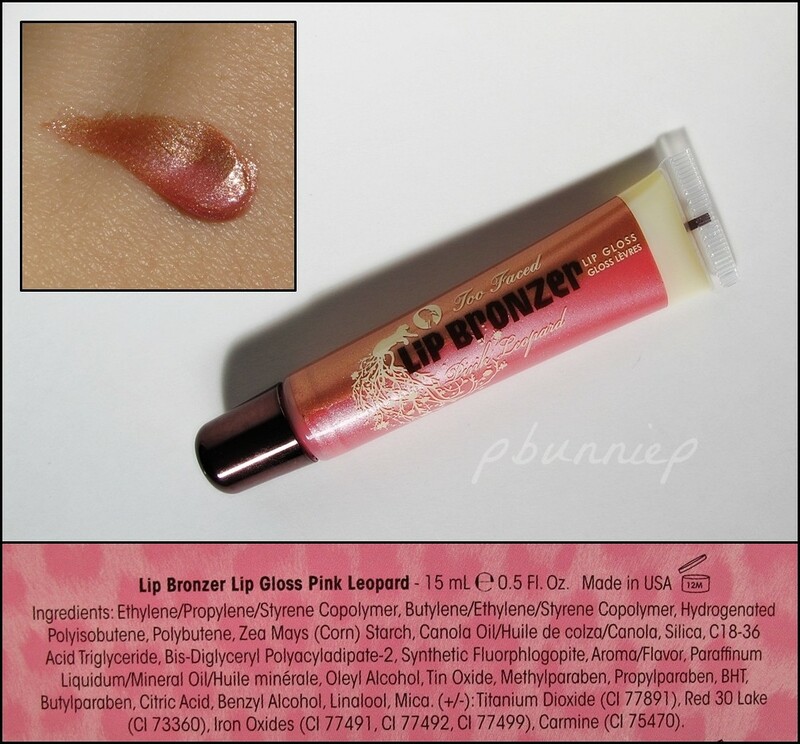 Another surprising product that I did not expect to like as much as I do is the Lip Bonzing gloss. While the colours looked a little intimating and dark in the tube (especially that bronze) it creates some magic when mixed together and actually applies as a warm rose gold lipcolour with good depth. The only gripe I would say now that I look again at the ingredients list is mineral oil that is listed, seemed unnecessary to me. I don't think I will repurchase for the sake that I will never use up 15ml of lip gloss! Hope you enjoyed today's review! hi. 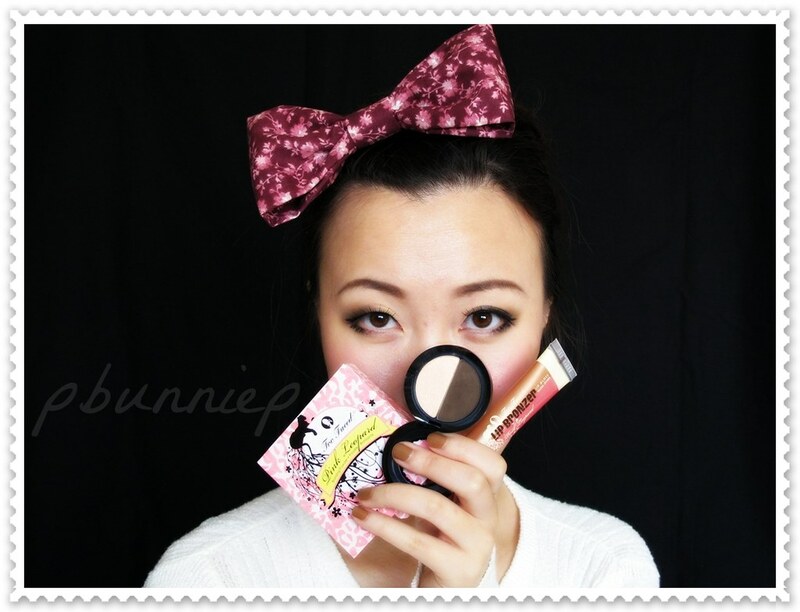 it's nice to find a local chinese beauty blogger who blogs in english. keep up the good work!